Rhodonite palmstones – gorgeous tactile items intended for crystal healing. Lovely Rhodonite palmstone carvings. These are lovely pink and black palmstones, cut from a natural piece of rough Rhodonite. Because these pieces are cut from a single natural piece of stone, we can’t guarantee the colours, shapes, or sizes of these stones. These are intended to be held in your hand and either stroked or rubbed; crystal healers believe this can imbue the holder with the power of the stone itself. In some cases these pieces may have indentations in the back, for the thumb. 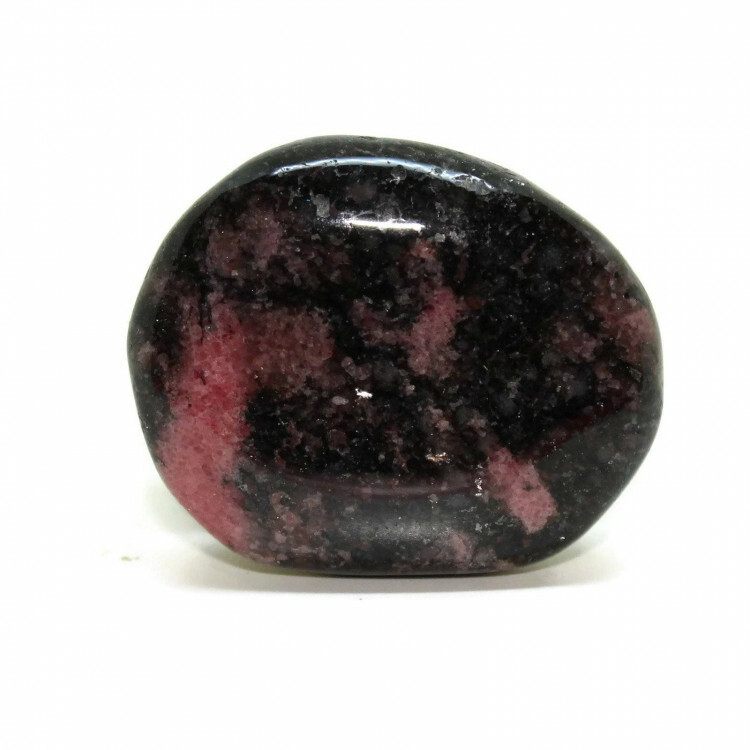 For more information about Rhodonite, and a full list of all of our related products, we suggest looking at our ‘Rhodonite’ page. 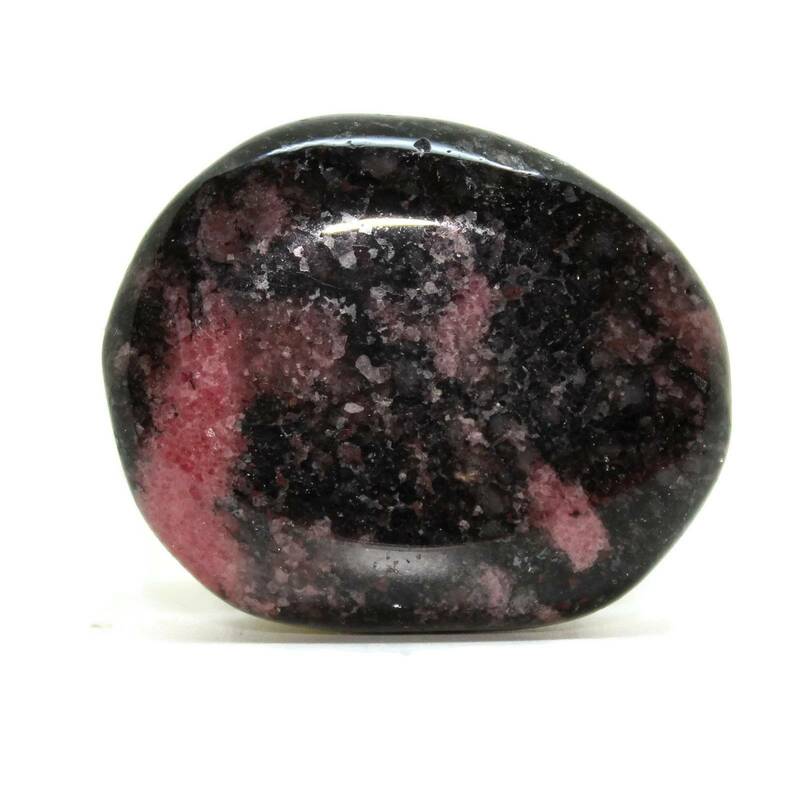 I wanted to add some Rhodonite to my collection and ordered a palmstone from this site along with some other items. 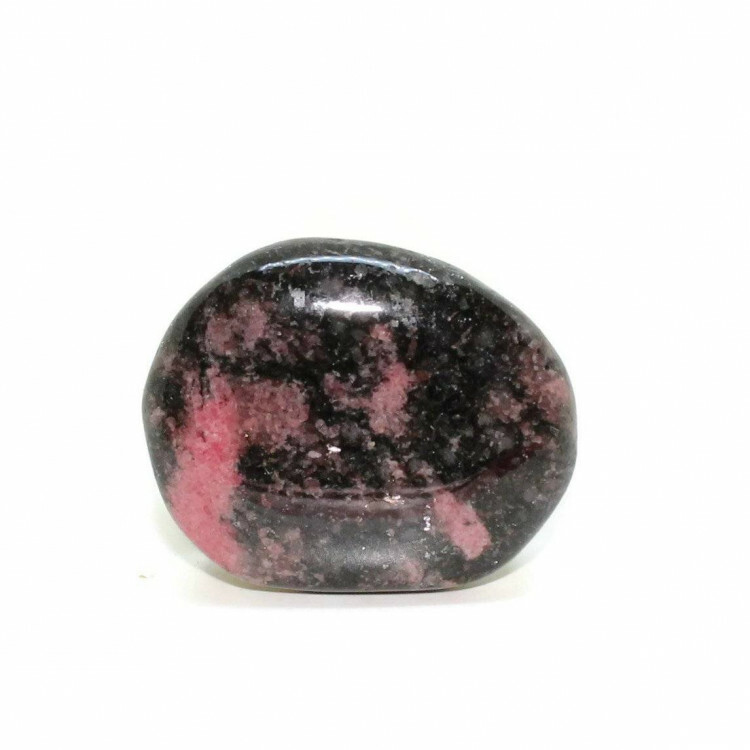 The Rhodonite is a lovely specimen and I was so happy with my whole order, great customer service, quick dispatch, quality crystals and very reasonable prices.